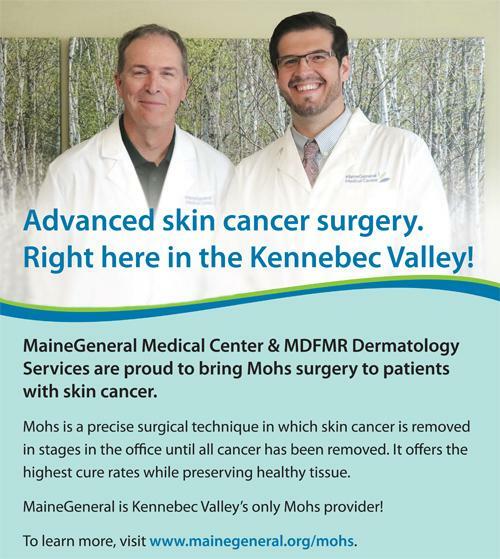 September 2018 news from MaineGeneral Health! Welcome to MaineGeneral's HealtheMatters ! In this issue, we revisit another very successful Cancer Survivors Day, share info about recent awards received by MaineGeneral and Comfort Care at Glenridge, invite you to check our Sept. 29 Job Fair, invite you to join us on Oct. 13 in Augusta for the Walk for Hope...and much more!. As always, we welcome your feedback at public@mainegeneral.org . 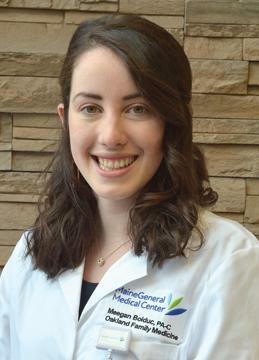 Meegan Bolduc, PA-C treats patients of all ages as a member of Oakland Family Medicine’s medical staff. She established her practice locally in April 2018. But that's just her clinical side. We knew you'd want to learn more about her personal side. Here's her story! Why do you like living in Maine? I’m originally from Bangor and am so happy to continue working and living in Maine. My favorite things about Maine are the changes in season, plethora of outdoor activities and lovely people. What gives you joy in your work? My favorite thing about my job is working with health maintenance on physicals to ensure everyone continues to stay healthy and happy. This gives me a chance to talk to people about their children and grandchildren, their jobs and hobbies, and really get to know the whole person. Who (living or dead) would you most like to meet? I'd like to meet Elizabeth Blackwell, the first female doctor, and discuss her courage and pioneering choices in medicine! What do you enjoy doing outside of work? My favorite things to do in my free time are running long distance, knitting and doing needlepoint and playing with my kitty Storm! 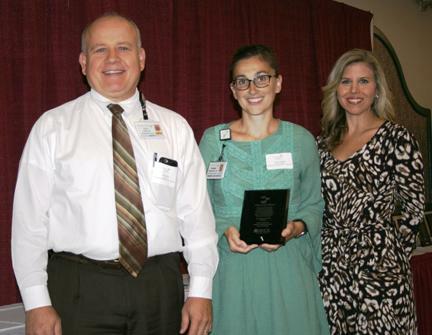 MaineGeneral Rehabilitation & Long Term Care – Glenridge recently received an Innovative Programming Award from the Maine Health Care Association at its Celebrating Excellence event. The award recognizes long-term care facility programs that improve resident quality of life and/or quality of care. Glenridge was recognized for its Comfort Care program, a short-stay, five-bed unit separate from the rest of the facility. Comfort Care is for patients with a terminal illness who qualify for nursing or skilled nursing care. It began about a year ago and has served more than 50 patients. Forest Bathing? Check it out! Forest bathing, a term coined in Japan for mindfully being present in nature, embraces that nature has a calming, positive effect on our health. Join Registered Maine Guide Ray Reitze on Friday, Oct. 12, 5-6:30 p.m., to explore the concept of stillness while visiting a beautiful local treasure and learn techniques to practice at home. The terrain being walked/explored is uneven. The Walk for Hope is Oct. 13! Join us as we gather, walk and heal together on Saturday, Oct. 13 at 9 a.m.
A walk is nothing without walkers - and we need you. Your steps and the dollars you help raise shout to our loved ones and friends facing this battle, “You are not alone in this!” Everyone needs that reminder from time to time. Join us with your presence, your team and your donation. When we hit the pavement Oct. 13, we hope to send a BIG message of love and support to ALL those battling cancer!. 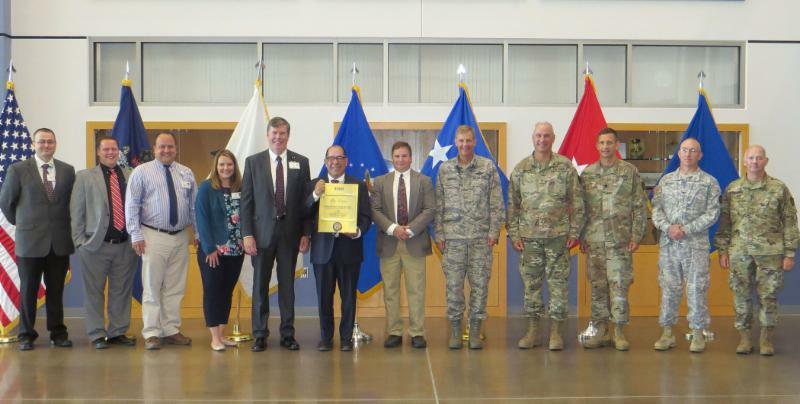 MaineGeneral Medical Center recently was awarded the Pro Patria Award from the ESGR at a ceremony at Camp Chamberlain in Augusta. The award recognizes employers for their steadfast support of its National Guard and Reserve employees. MaineGeneral was nominated for the award by Mark Wright, PA-C, of MaineGeneral Orthopaedics. “We’re pleased to receive this recognition for doing something we feel strongly is the right thing to do,” said Chuck Hays, president & CEO of MaineGeneral Health. 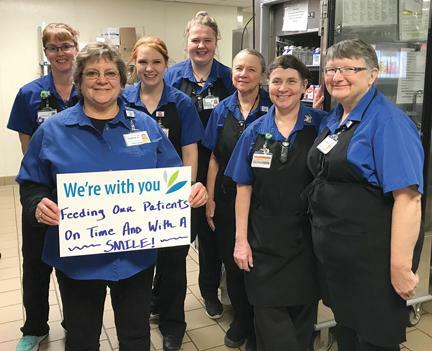 “Our employees who are Guard and Reserve members play a big role in the culture of excellence at MaineGeneral, to the benefit of all our patients." Imagine the possibilities at MaineGeneral’s Facilities Job Fair Saturday, Sept. 29, 9 a.m. – noon at the Alfond Center for Health, 35 Medical Center Parkway, Augusta. MaineGeneral offers steady positions with benefits and room to grow. Opportunities are available in Food & Nutrition, Housekeeping, Boiler Operations, Lab, Materials Management, Facilities, Security, Patient Transport and more! Apply at the fair and interview on the spot! Meet our leaders and staff, ask questions and learn about what MaineGeneral has to offer, including educational reimbursement and in-house training for medical assistants and certified nursing assistants. Hope...in times of darkness. Hope...in times of despair. Hope...when facing an uncertain future following a cancer diagnosis. And, finally, hope...for a future free of cancer following the challenges of a treatment journey. 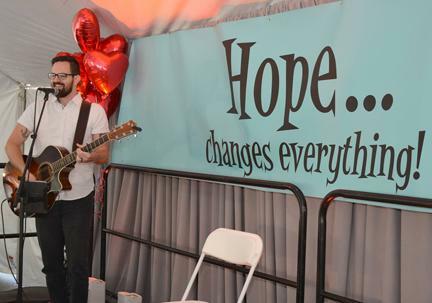 At Sept. 8's Cancer Survivors Day at the Harold Alfond Center for Cancer Care, "hope" - as expressed by the amazing speakers and so many others in attendance, "changes everything." For those who are on their own journeys, or supporting a loved one who is, we hope you will draw strength and inspiration from the photos we captured of survivors and their loved ones. In the darkest of times, they have found the true importance of having hope. View our CSD photos on Facebook!